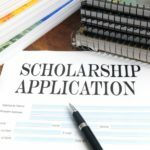 The American Black Chiropractic Association (ABCA) is now accepting applications for the 2019 Harvey Lillard Scholarships. We will be awarding 3 scholarships at our 2019 Annual National Convention in Daytona Beach, Florida at the Harvey Lillard Scholarship banquet on Saturday, June 29, 2019. Although scholarships are awarded at the National Convention, SABCA members do not have to be present to win. Click here to download an application for submission. A copy of the scholarship application may also be acquired from your local SABCA chapter president. Students applying for the award must be active dues paying members in their local SABCA chapter as well as active dues paying members to the National ABCA organization. All applicants must have completed their 3rd Quarter/2nd Trimester in an accredited DC program to qualify. Please be sure to pay your $50 ABCA dues online at www.ABCAchiro.com prior to applying to ensure eligibility. Past winners still enrolled at in an accredited DC Program are eligible to win again. Along with the application and essay, students are asked to submit a copy of their transcript and two letters of recommendation. All applications must be complete and postmarked by no later than May 24, 2019 to be considered. Please contact the ABCA Scholarship Committee with questions at info@ABCAchiro.com.